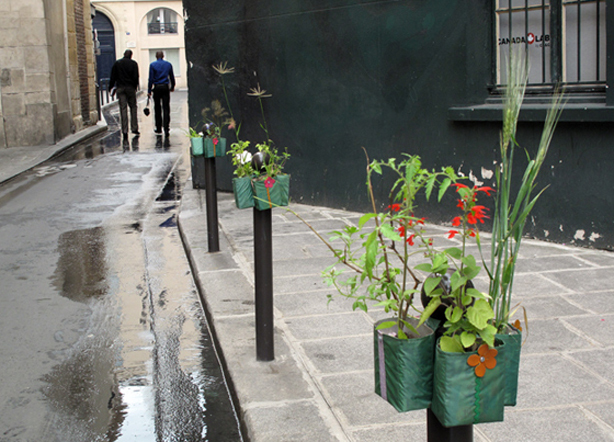 The poles lining the streets in the 2nd district of Paris are there to restrict parking, but not planting. 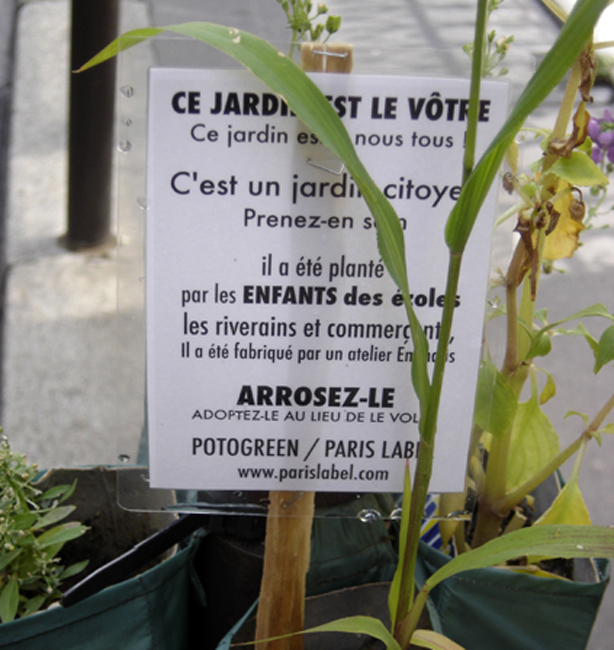 When I received an email from Paule Kingleur of Paris Label about her POTOGREEN project, I knew I had to post about it. 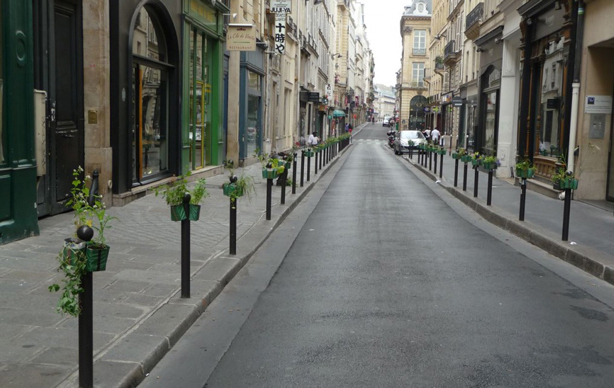 Not that Paris is wanting for beautiful gardens or flower boxes, but these no-parking barriers have always been a missed opportunity for some simple urban greening. 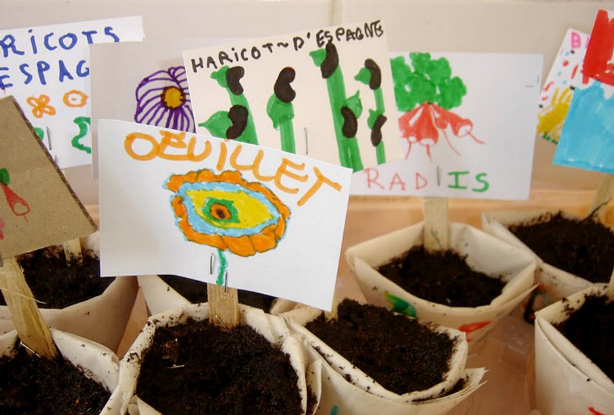 Now people are doing something about them and enlisting kids in the process. 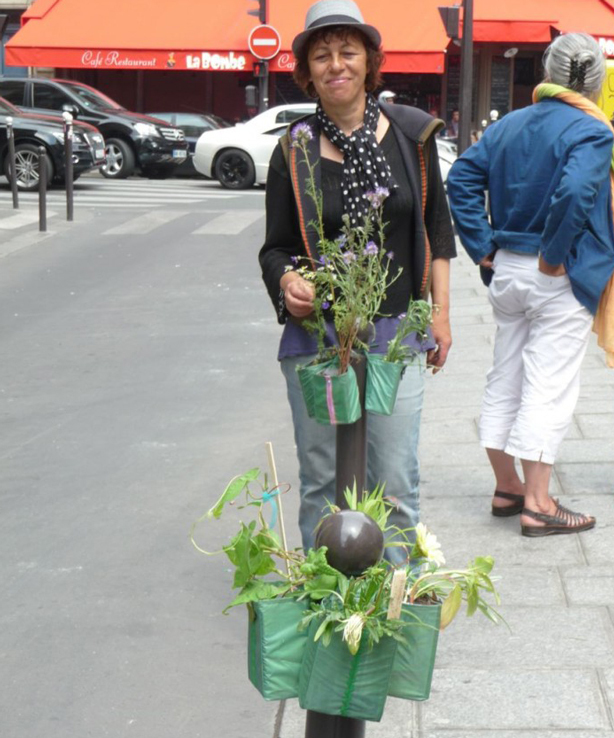 To dress up the city’s unsightly no-parking poles, Kingleur engaged 600 Parisian school children to plant seeds in the planters, forming a grouping of hanging pocket gardens made from recycled canvas tent fabric planted with a variety of small plants. 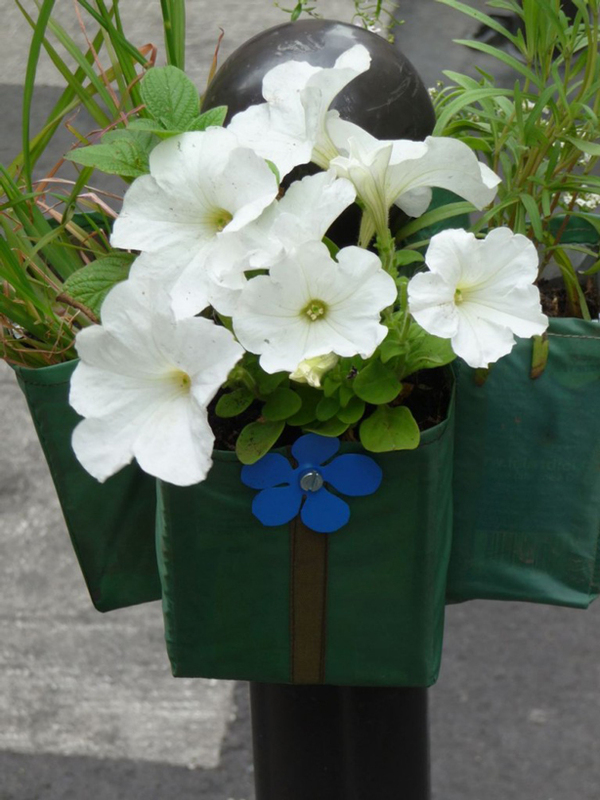 Kingleur’s no-parking pole gardens, made from a combination of recycled milk containers and bits of tent fabric, are produced by individuals undergoing treatment at Emmaus, a rehabilitation center. 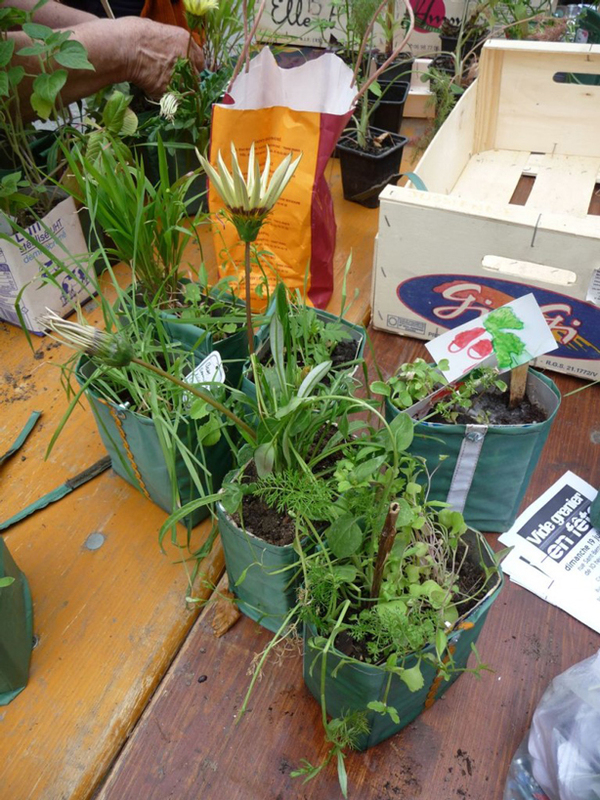 Aluminum inside the milk containers keeps the planters from leaking, while they stay dry due to the exterior canvas. 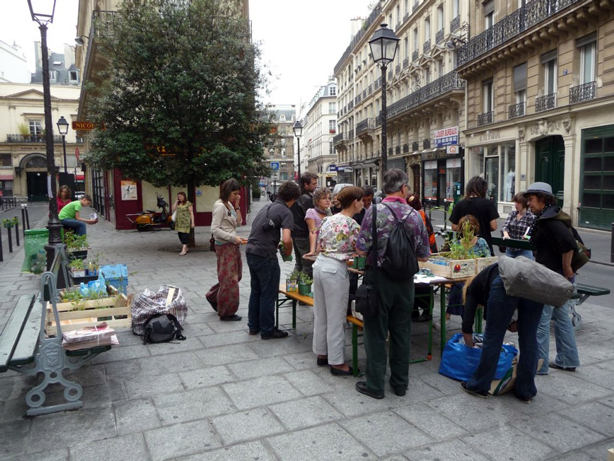 According to Kingleur, the main objectives for the POTOGREEN project are to encourage Parisians to beautify their beloved city of lights, while also creating sustainable development and economic solidarity. Paule Kingleur organized the troops. 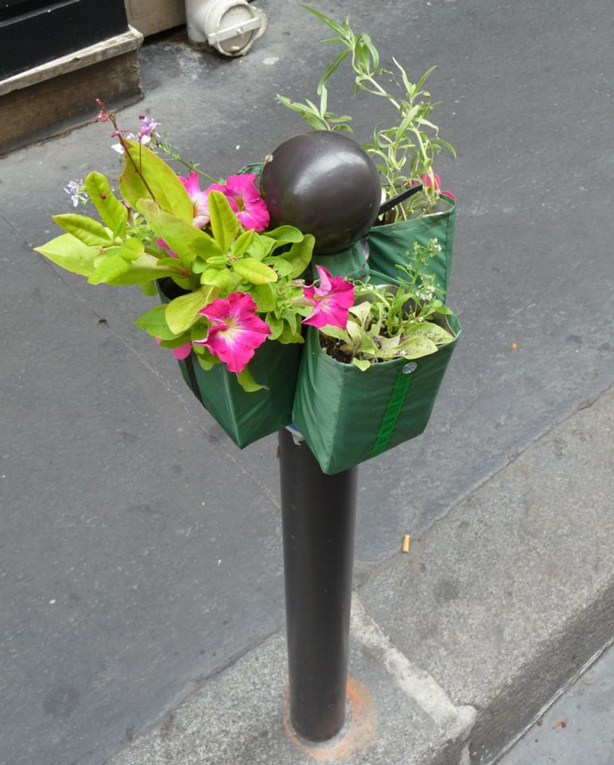 Residents planting together in the Paris’s 2nd district. 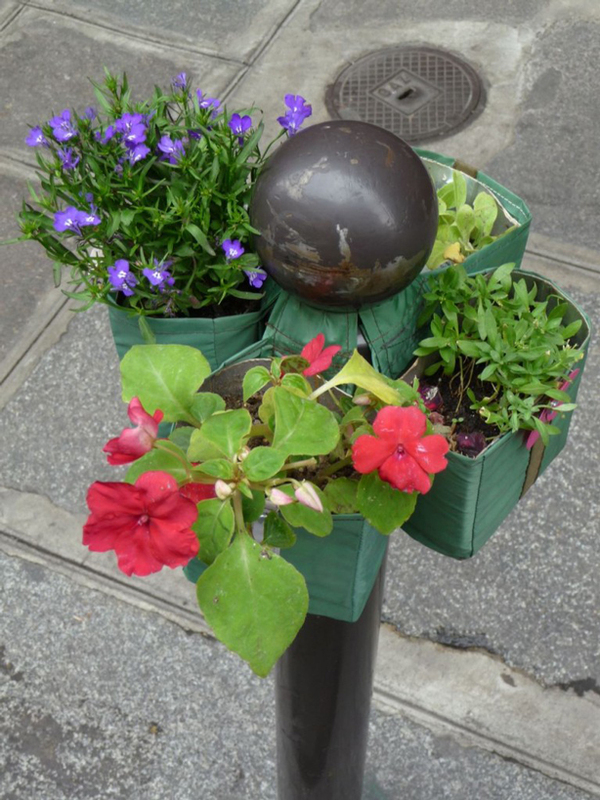 Signs posted ask all neighborhood residents and shopkeepers to water the plants and invite them also to adopt their own planters and place them at a favorite urban spot. 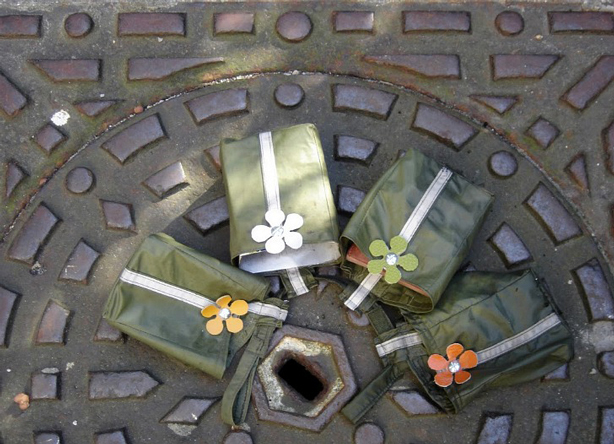 Photos by Alain Delavie, Anne Mazauric, Carine Tedesco, and Paule Kingleur. 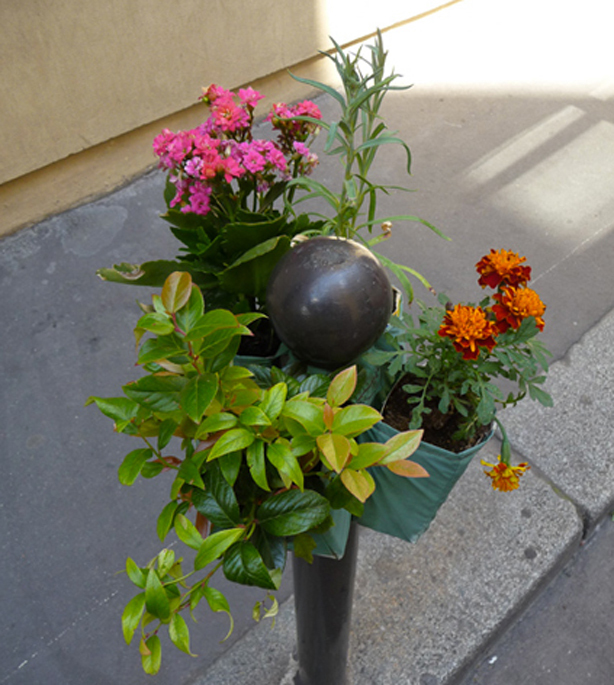 Visit Delavie’s blog, Paris Côté Jardin.